MH Electric can conquer almost any feat in this industry. 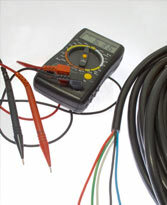 We offer a wide variety of commercial and industrial electrical services. No job is too big or small, as we treat each project with the same attention to detail. We invite you to complete the contact form and then we'll be able to call or email you with the information you’ve requested.